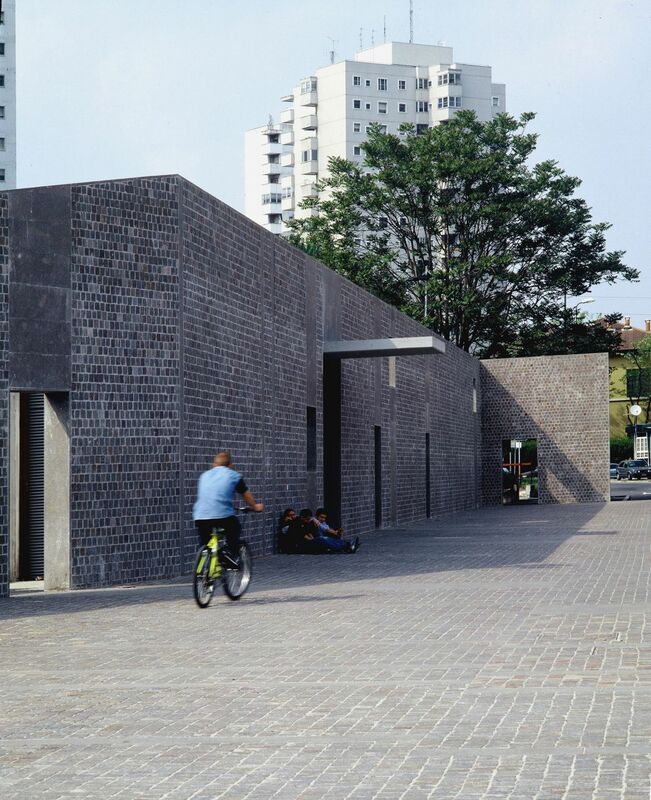 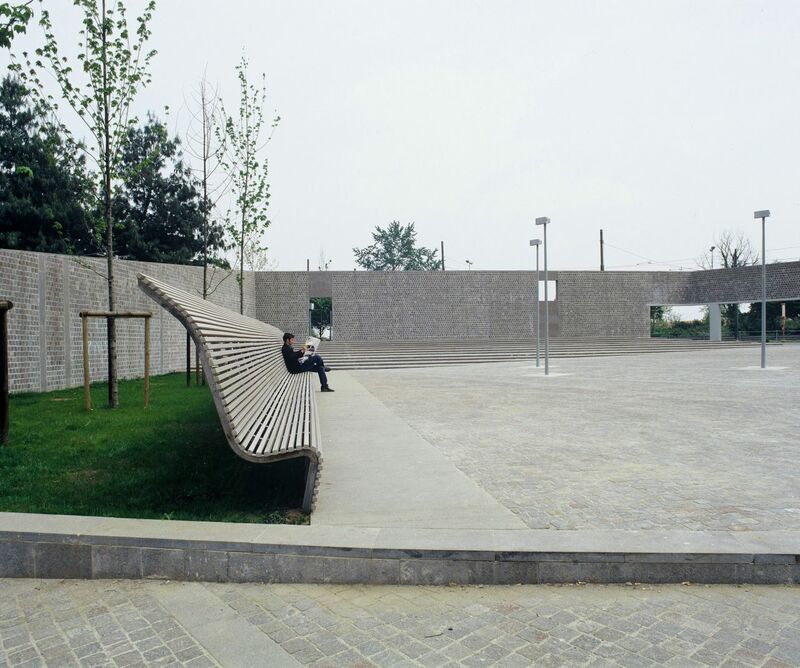 The dispersed fragments of the first periphery are unified by the design of a new open space paved with porphyry cobblestones. 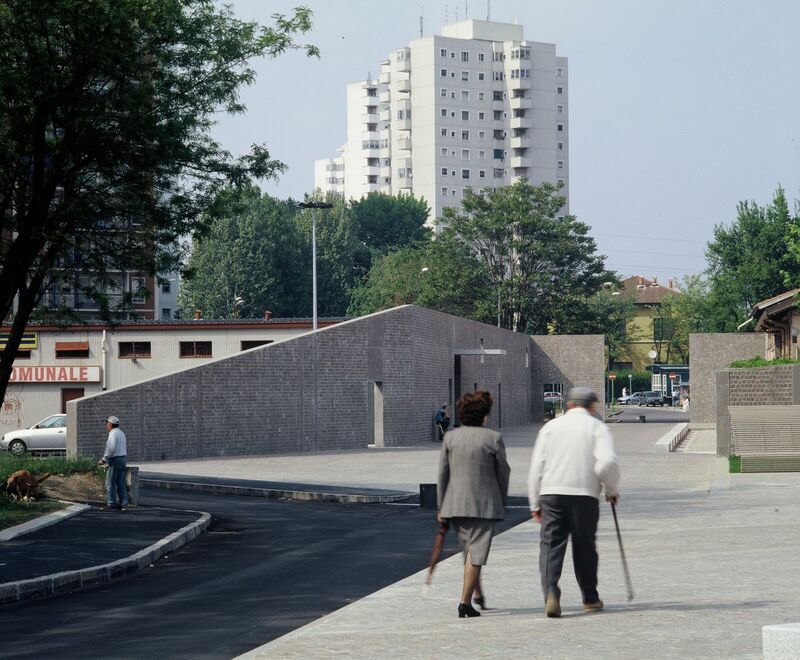 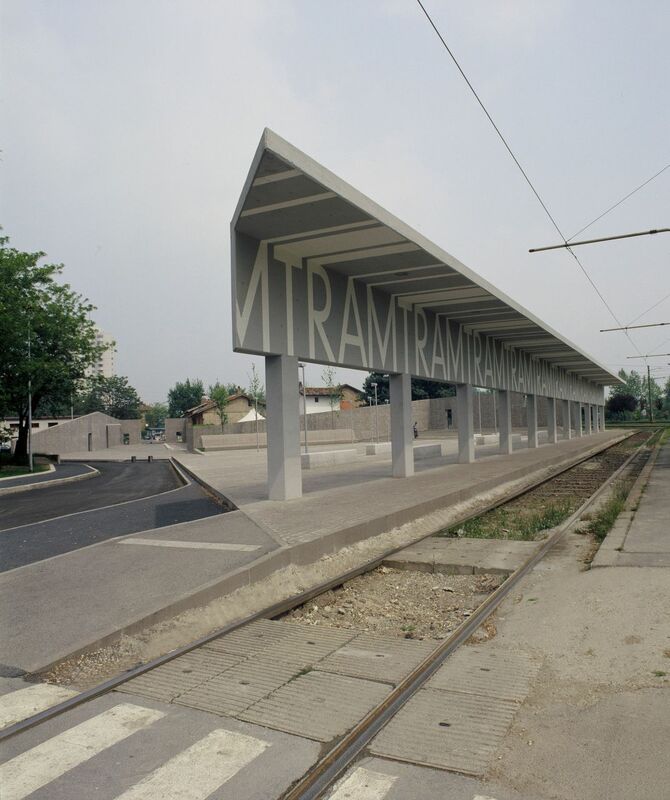 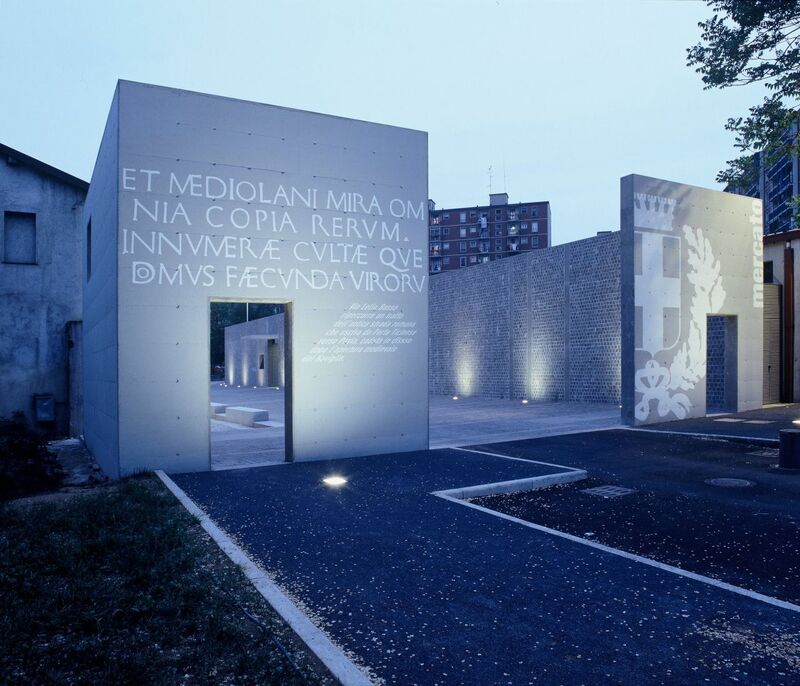 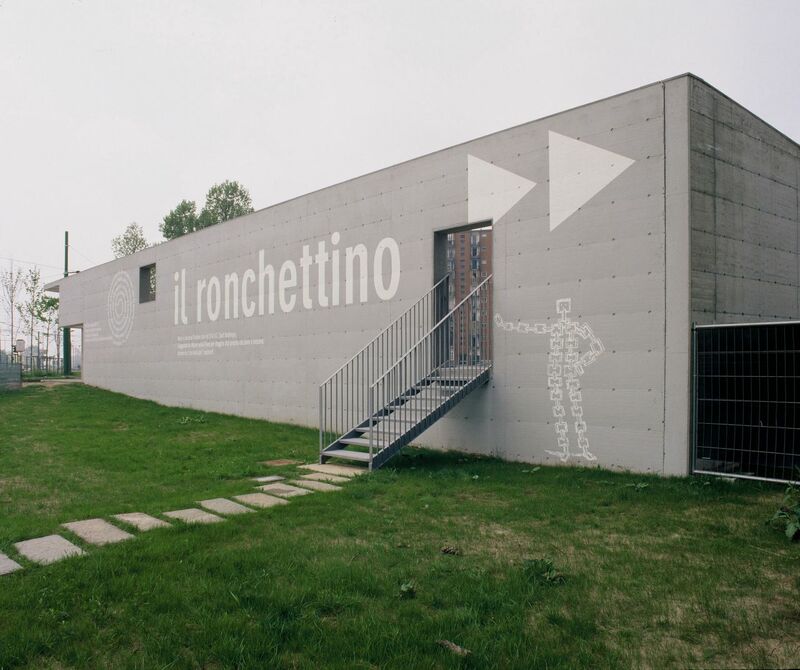 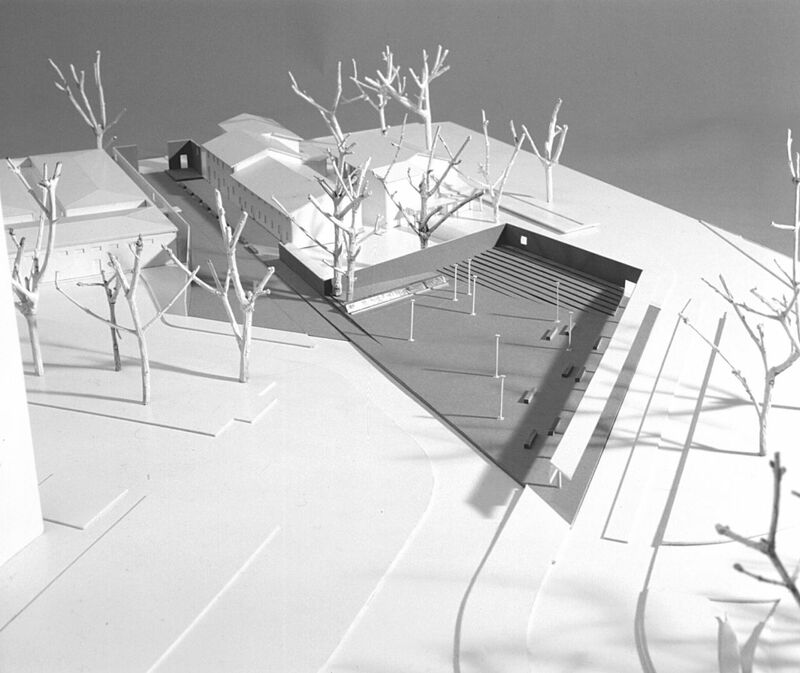 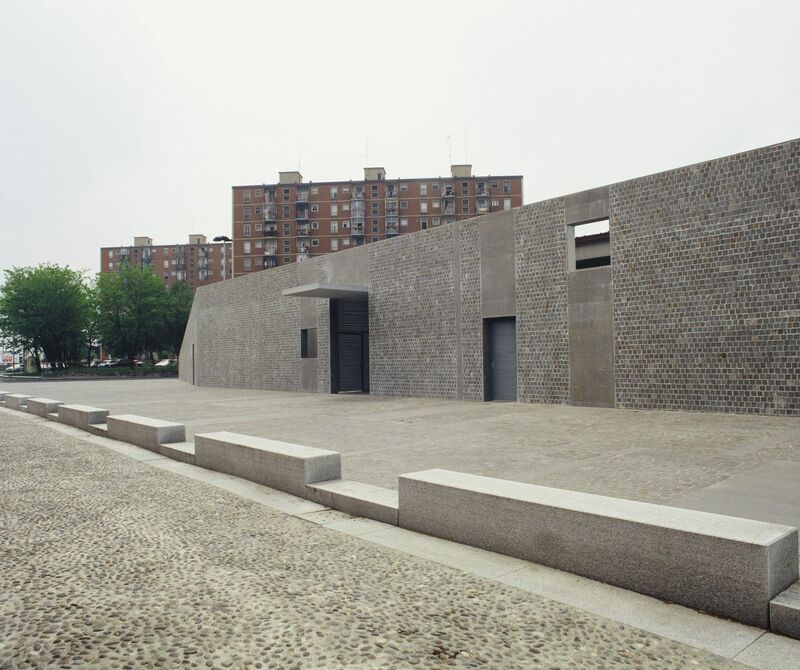 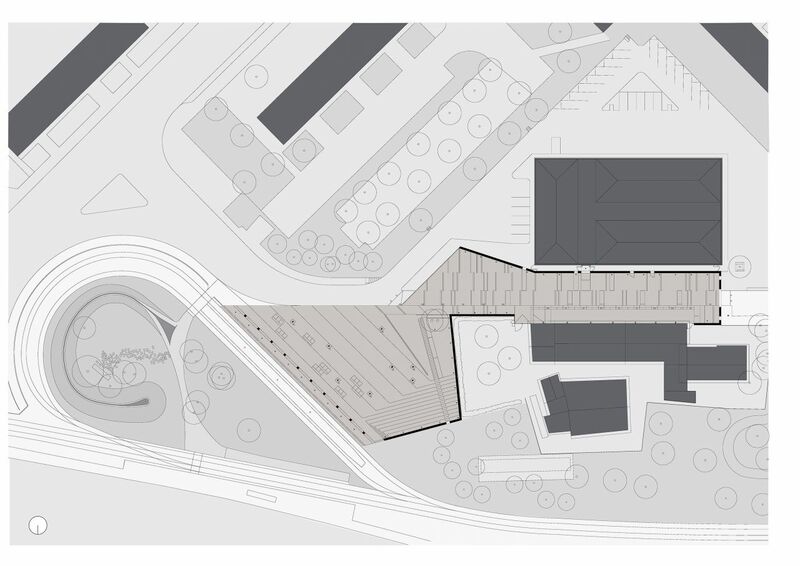 A low concrete wall, veneered on the interior facades with the same stone, embraces the new square which rests on the trace of the old Roman way to Pavia, connecting the surviving bodies of a farmhouse, an existing public covered market and the tram stop. 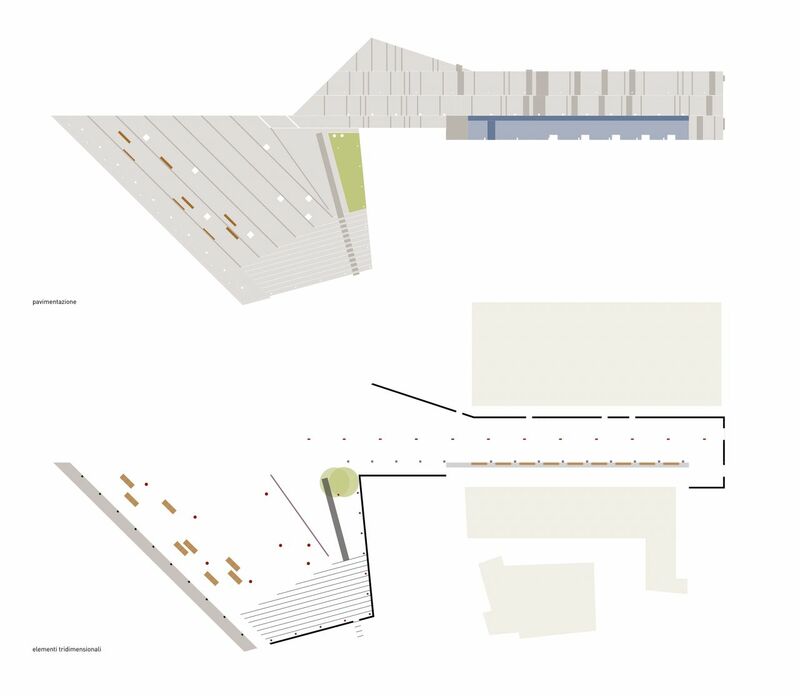 A green rampart screens the space inside the tram roundabout, and a white pebble canal on its peak funnels the water of a new fountain to fall into a cut in the pavement. 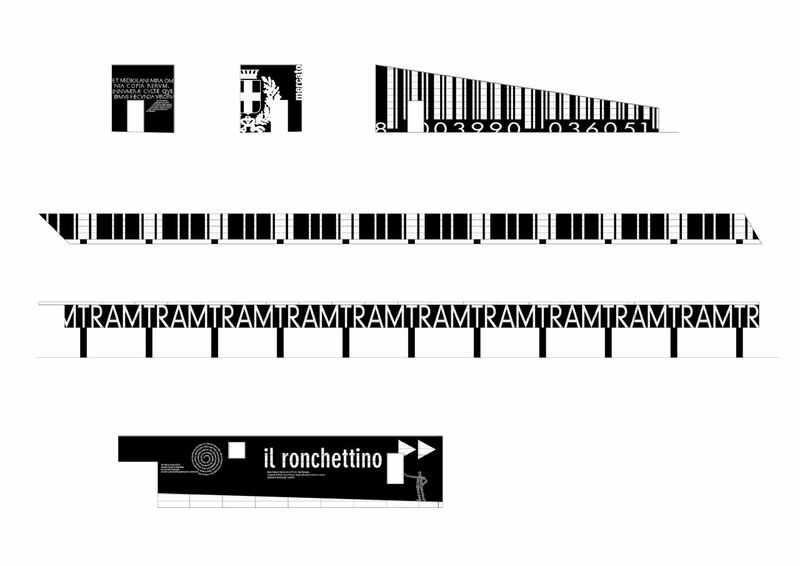 The outer elevations of the wall are “tattooed” by large graphic interventions which react to the changing landscape of the surrounding metropolis.